As I prepare to go to Microsoft TechEd North America 2013 this weekend in New Orleans to work staff duty for Microsoft in the Windows Azure Conference Area, and coupled with the fact that I am reviving my skills in Linux Apache MySQL PHP (LAMP) I am going to do a blog on how easy it is to stand up a Ubuntu Linux Server 12.4 as a windows Azure Virtual Machine with LAMP installed and configured. If you have an account already you can just Log In from here as well. 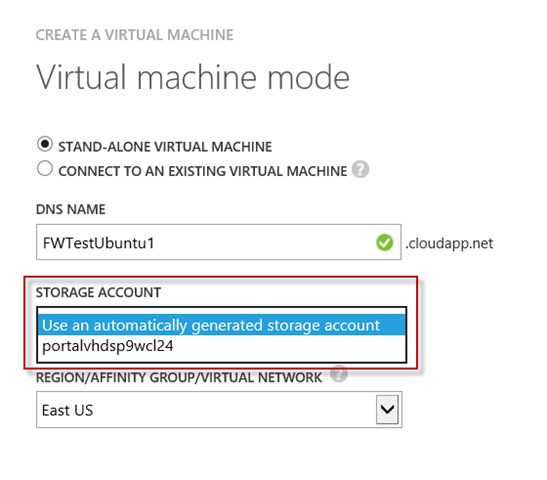 The storage represented there can be used for just about anything except RDMS, its just simple storage. For me it is where the Virtual Hard Disk are stored, later on I can put whatever kind of storage I want actually. 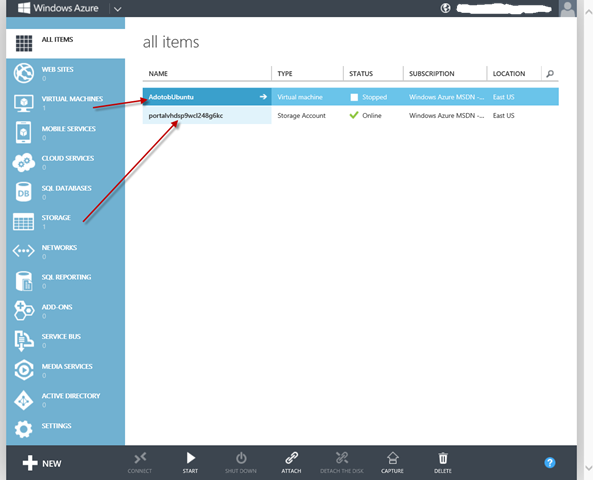 Now, although Azure gives you a way to interact with it, I prefer to use the Neudesic Azure Explorer tool. 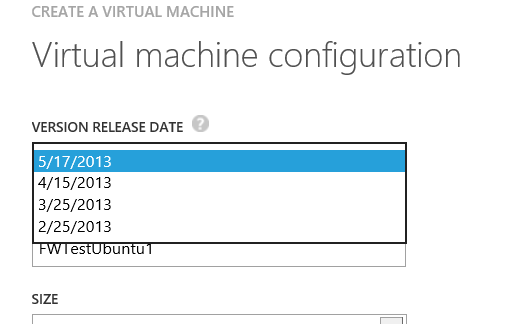 See below you can see that it has my VHD’s for all the Virtual Machines I built and are using now. 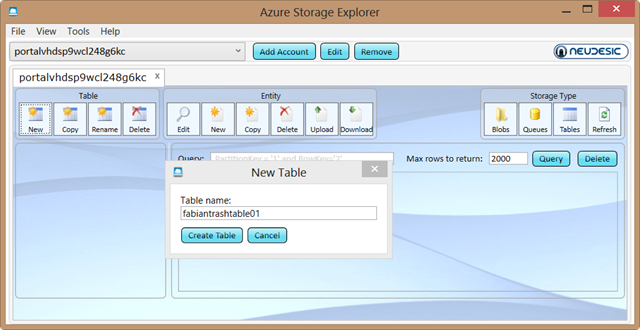 Notwithstanding that, you can also store Tables and Queues in addition to the Blog Storage used to keep the Virtual Hard Disks. 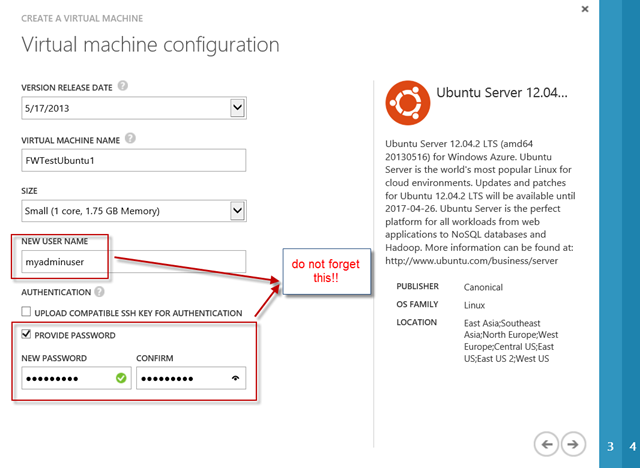 But we came here to learn about using Azure to install Ubuntu in Azure so, lets get cracking. 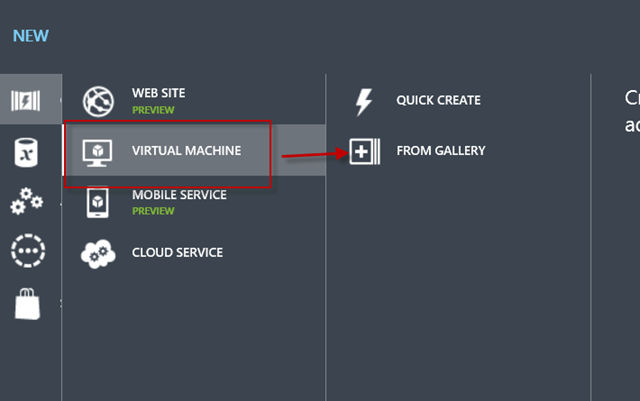 So from the bottom of the Azure Portal manager click New and lets set about creating a new Virtual Machine. Form the gallery we will ofcoourse be choosing the Ubuntu Server 12.04LTS but as you can see in the green call out, I could have used a previous Image Template that I have there. 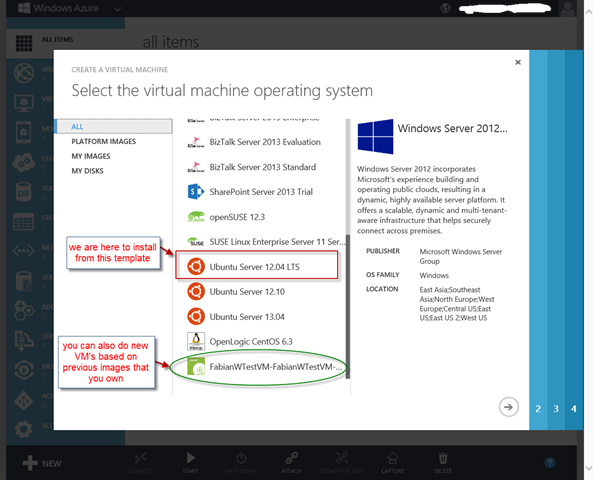 The point being that IF you OWN licenses to OS’s you can upload the image to Azure [via the Storage mechanism previously discussed] and they will appear in the template here. The next set of decisions are very important ones that you will want to jot down somewhere, especially the UserName and Password one. 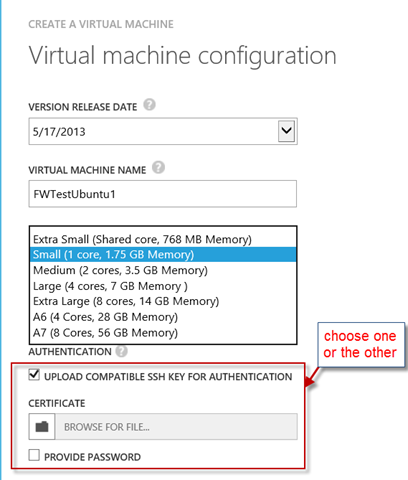 Now you will notice that the credentials section “defaults” to uploading a certificate to Azure to let it know the box that you will be Secure Shell-ing in from. 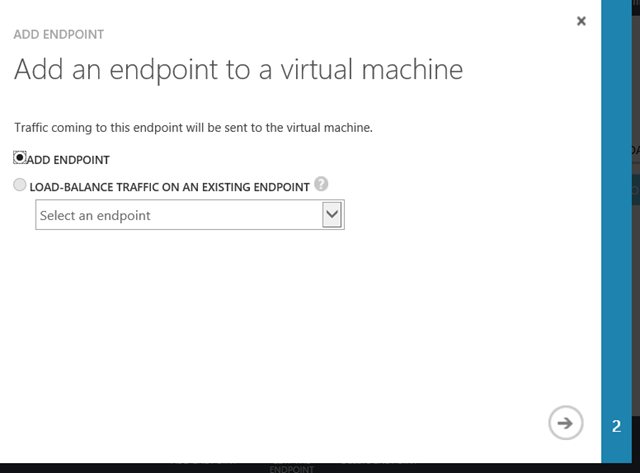 What that is THE best way to do this because it (1) encrypts the traffic (2) is overall more secure, we will not be doing that in this demo. Im my other ones, yes I do that. The next decision is one where advance preparation will make your life a lot easier. 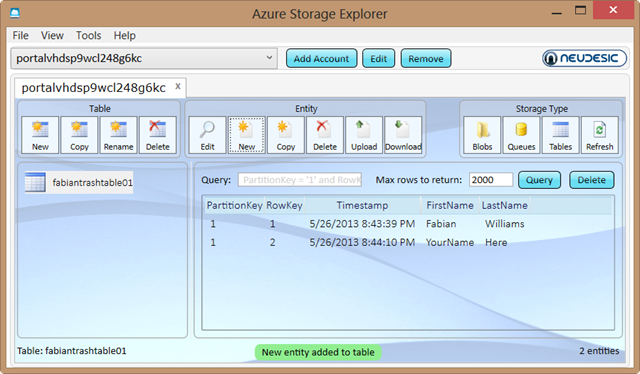 So, you recall how earlier we discussed that you can provision storage and use them at your own convenience. Well here is a good candidate for one. So, if this was production, I would definitely in advance of this selection set up a strong HA disk set for my storage and point it to that guy, as you see me doing here to this simple disk set. 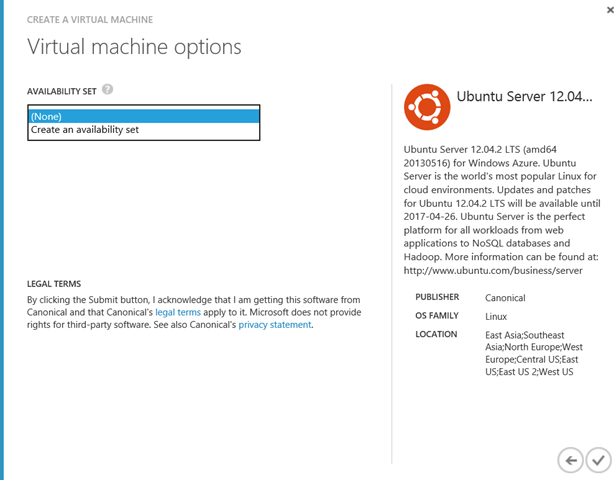 Your next option is availability set, now this is just a Rip and Replace install so, I am not bothering with one, but you an read up here in the image as to what it is and how it is used. 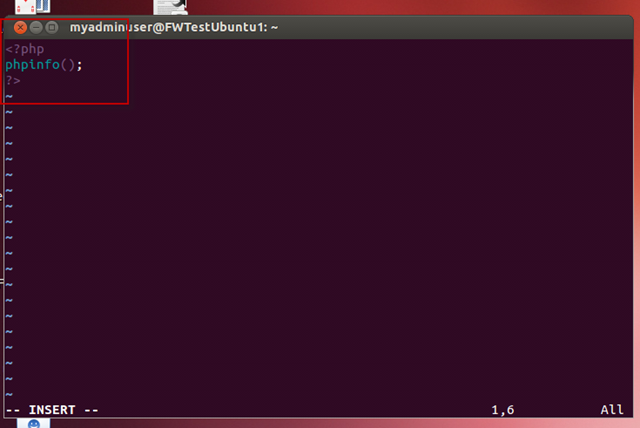 So first thing first right, this is Ubuntu Linux, it is NOT Windows so, that means that you WILL NOT be RDP-ing into this box, although there are Linux packages for that as well. Your access will be via Secure Shell (SSH) to issue command via the command line, or you could install the Desktop untop of your server, but with my limited knowledge of Linux, I still would advise against that. There are plenty of tools out there for you if you want to exchange files FileZilla comes to mind, and ofcourse if you are on a Windows Desktop you can use Putty to SSH in. 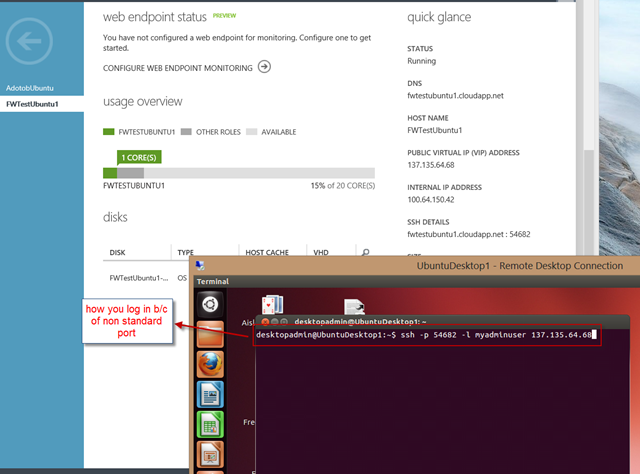 As for me, I have a Ubuntu Desktop 12.04 VM that is on my Dev Rig Laptop, I can bring it up and RDP into it that then SSH into my Server with my Certificate that I have. 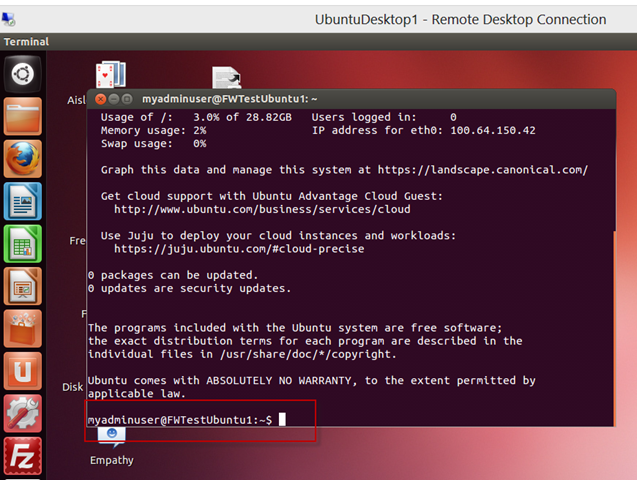 Below, you will see a few things, (1) the Public IP address of this VM instance and in my Ubuntu Desktop you will see me establishing a SSH session for the very first time. 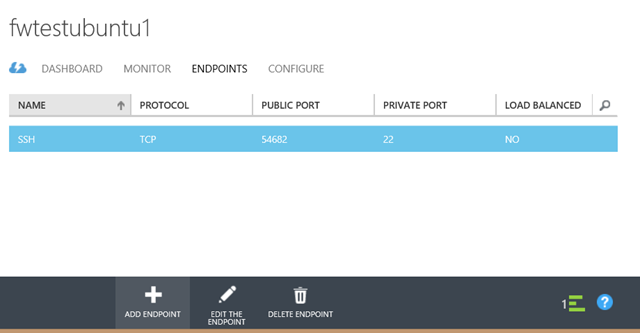 You will notice that I am not going over Port 22 which is the standard SSH, that is because Azure masks that with a Public Port to thwart folks with nefarious intent. Once you try to establish that session you will get the below warning, go ahead and accept, this is your box afterall. After that happens then its time to get the LAMP installation done. 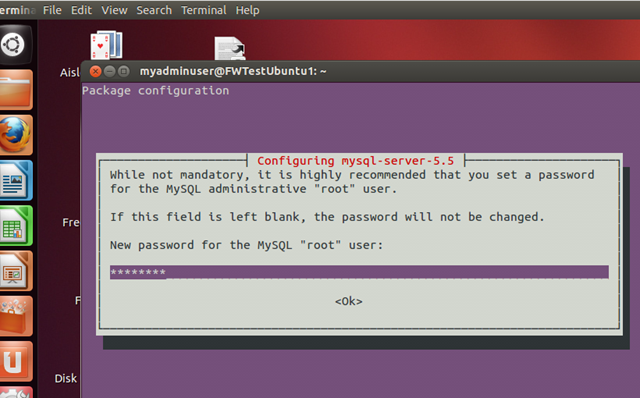 For mySQL when you do the Install you will need to set the Root Password for it, go ahead and do so. 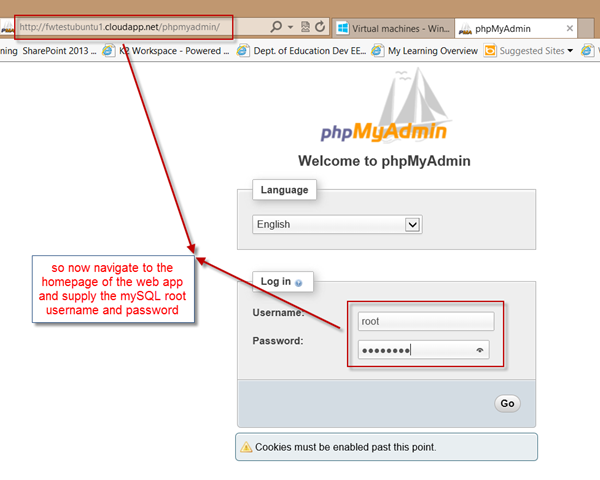 You should jot this down again, because when we install phpMyAdmin, it is what we will be using to get into the Web Application. Well that does it for making sure that Apache is up and running but to test for PHP, you will need to create a simple script and copy it to the publishing folder where Apache reads from. Now ideally here again, I would move that folder from /var/www and put it soemwhere else, but for now we are using the default. In this example I am creating the file in my home directory using the VI editor, ofcourse you can use anyone you desire, some find “nano” or “pico” easy to use, even though VI has a steeper leaning curve, it is by far the most powerful IMO. 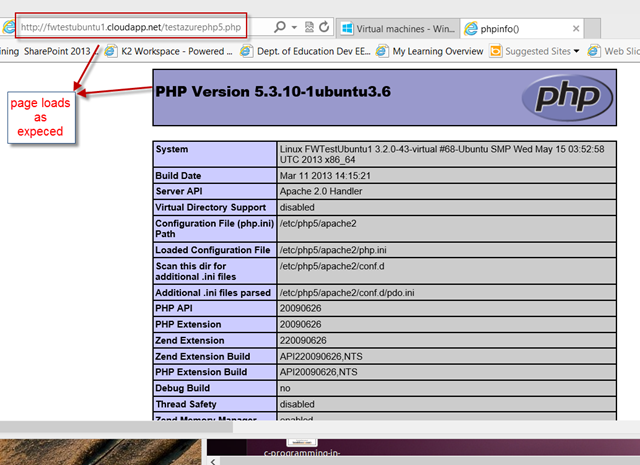 Once you have done that then you need to copy this file to where Apache reads web pages from as previously discussed. Once you have completed that copy, you can now call that page from any public browser and see the results as shown below. One more piece of tool, I will install before calling it quits on this LAMP Server. 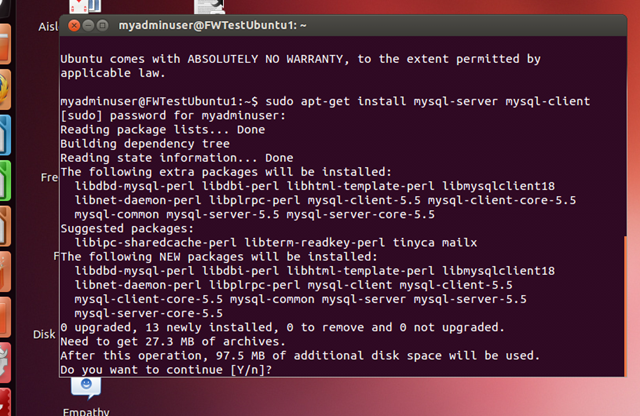 So this is a great tool for managing mySQL, certainly more control can be gained by using the command line tools but this is more visual and is good IMO. So issue the command below to install it. 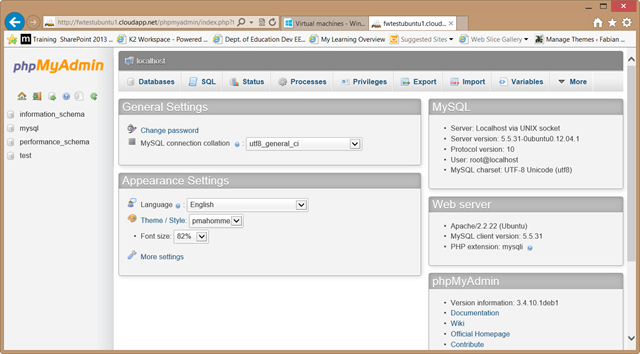 Once you do, this is another Web App available to anyone with rights and credentials. Once you are in. The world is your oyster. Then Confirm the Delete. 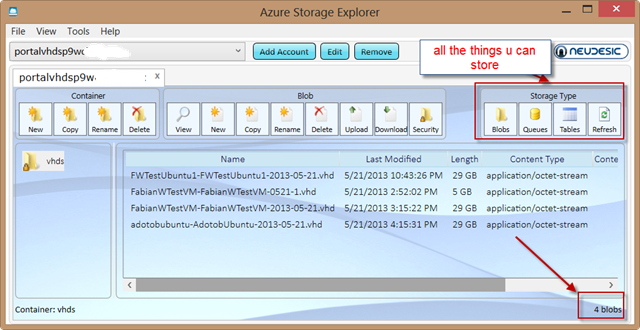 You can also delete the VHD as well that is in the Storage. 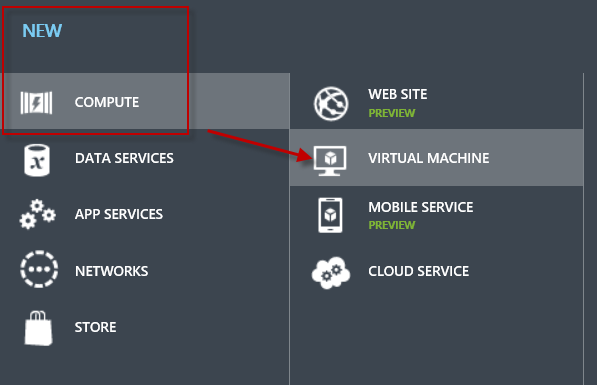 Azure is good, easy, great for Rip and Run scenarios, Proof of Concepts or Learning New stuff. Take it easy Irie.